Orange is the New Black is for sure a huge part of my life. I know what you are thinking, “really Jade”. A friend of mine told me one day I needed to watch this on netflix and I was like OK! So I did and I got completely hooked. I literally could not get away from my computer for a few days until I was done with the full season. I am totally excited about Season 2 that starts June 6th! 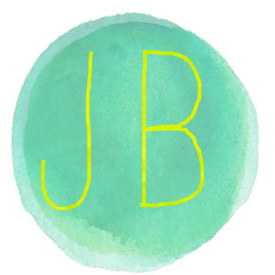 I hope you enjoy this blog hop that me and my friends put together. Make sure to check out the bottom of my post because you will find all of the links to everyones projects. More news is Netflix is giving a 3 months gift card away! 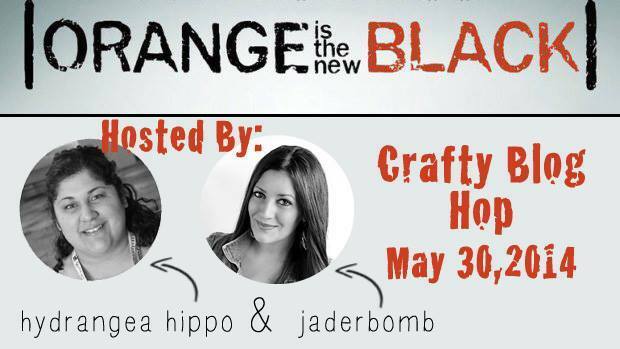 Don’t forget to hashtag #OITNB on all your sites if sharing this post or the others! If you are not familiar with the show it’s about a girl named Piper who is very educated and high class. She made a horrible choice and smuggled drugs for her girlfriend and is sentenced to a year in prison. Shocked! HAHA. Through out the season you learn more and more about each inmate and each of their stories. It’s pretty dramatic and leaves you dreaming of the next episode. I promise you if you have not seen it you must catch up on Season 1 now! 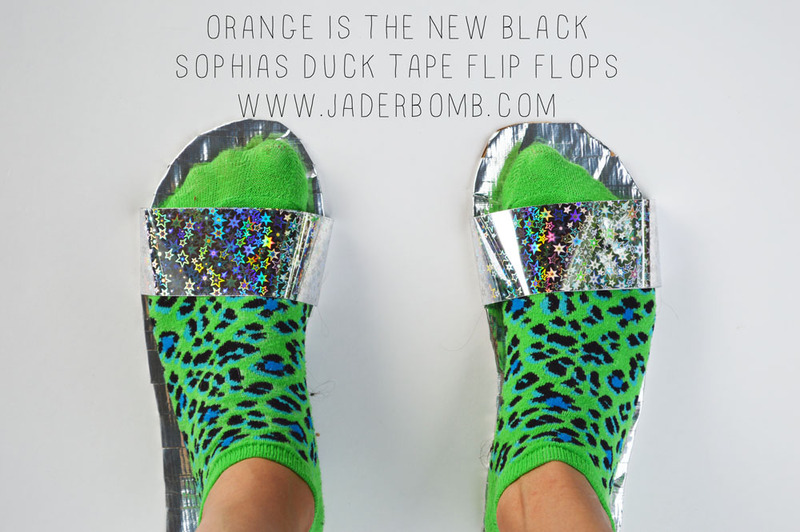 My craft is based on the duck tape slippers that inmate Sophia Burset, a transgender inmate wears in the show. Piper is new in the slammer and she takes her first shower and sophia informs her how important it is to protect your feet, honey child. 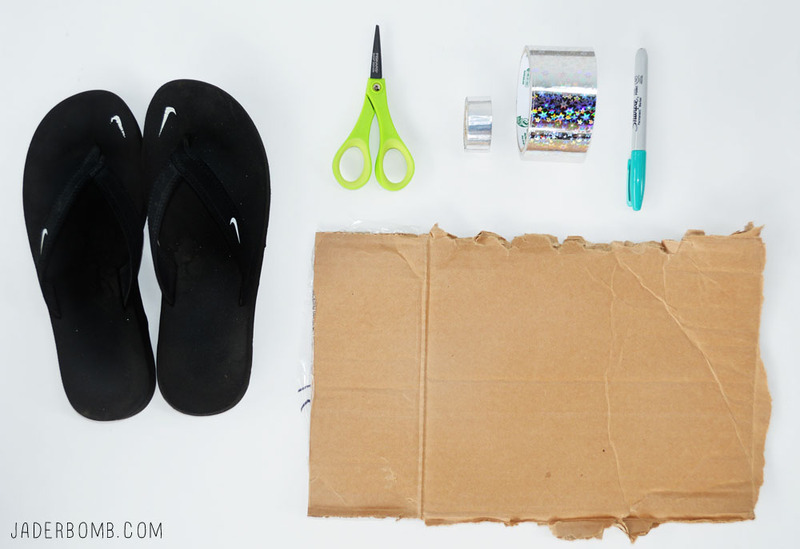 The first thing you will do is place your flip flop on your cardboard in a secure spot. Next thing you will do is trace it out. 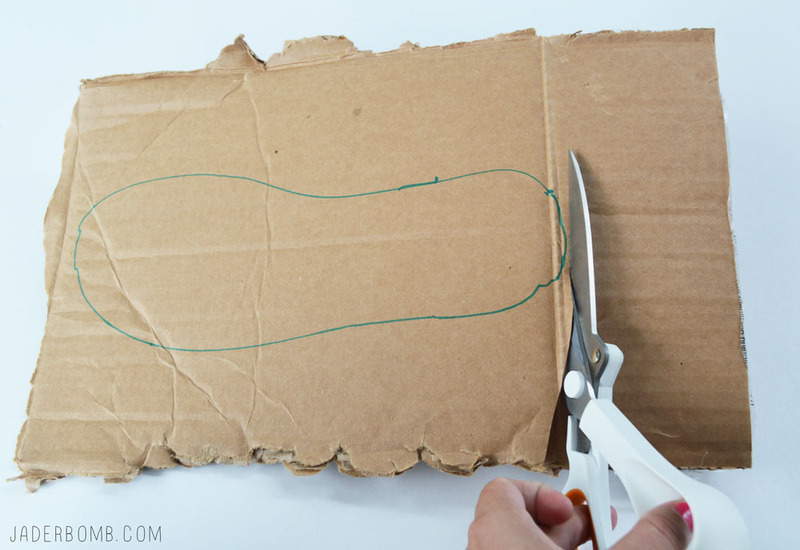 Carefully cut out your tracing using sharp scissors. When you are done you will have two cut outs. 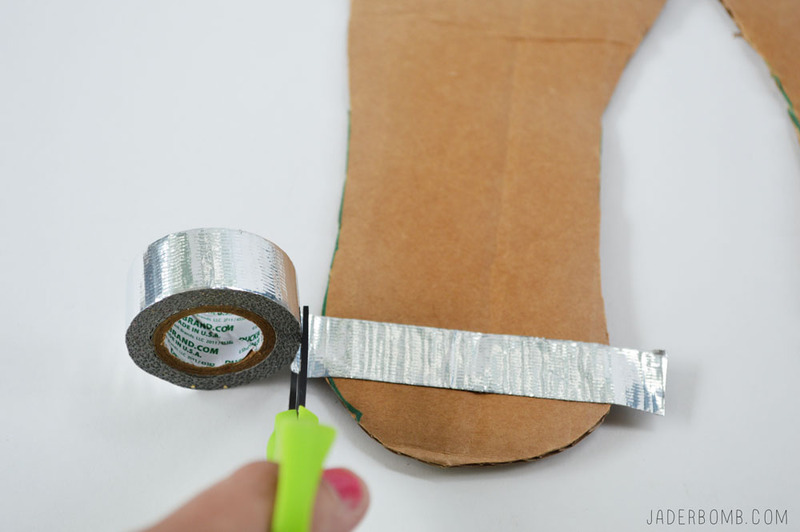 Start by placing strips of silver duck tape across your cardboard cutouts. 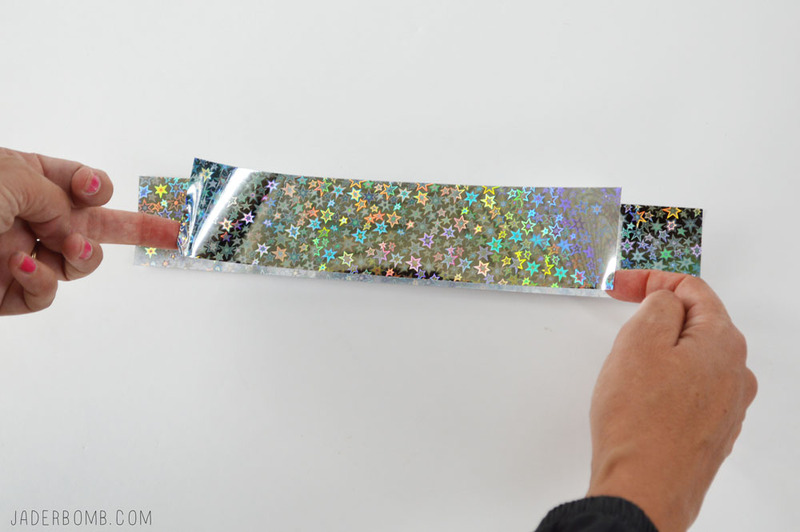 When you are done wrap the tape on the sides to cover them. This is what they will start to look like once you cover them. 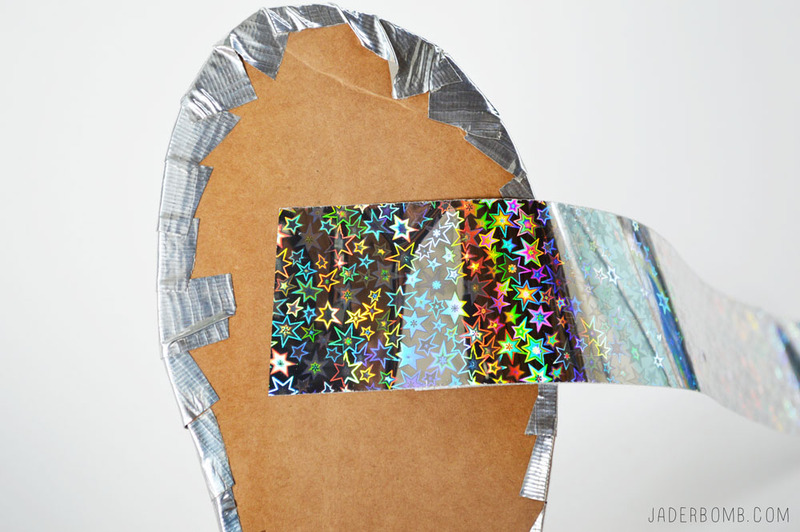 I am using a shiny heart filled duck tape for the top part of the flip flop. 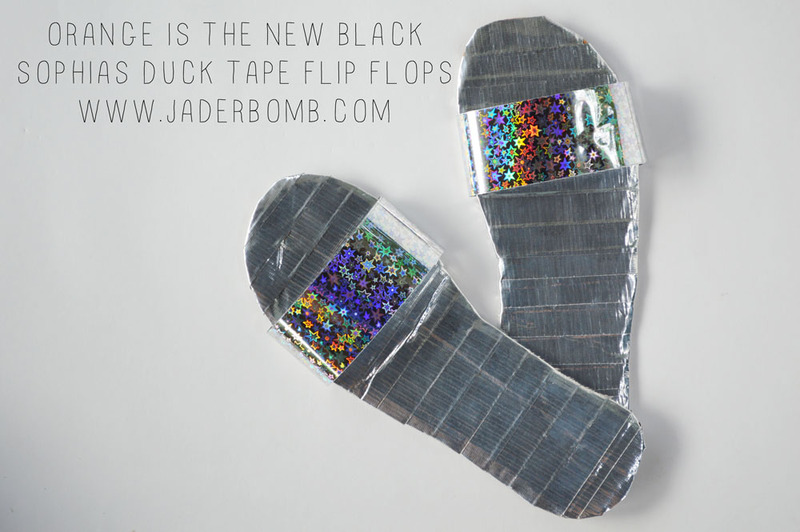 Cut two strips of shiny duck tape while making sure one is longer than the other. 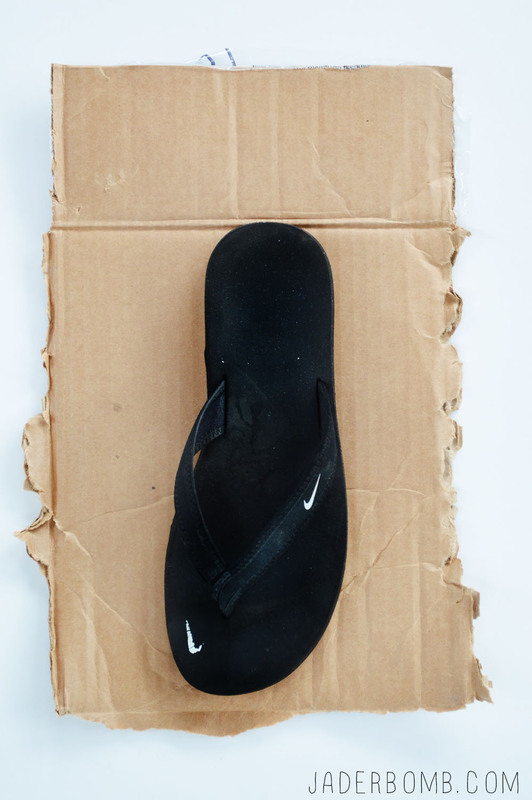 I guessed the length and everyones size is going to be different based on the size of your own flip flop size. 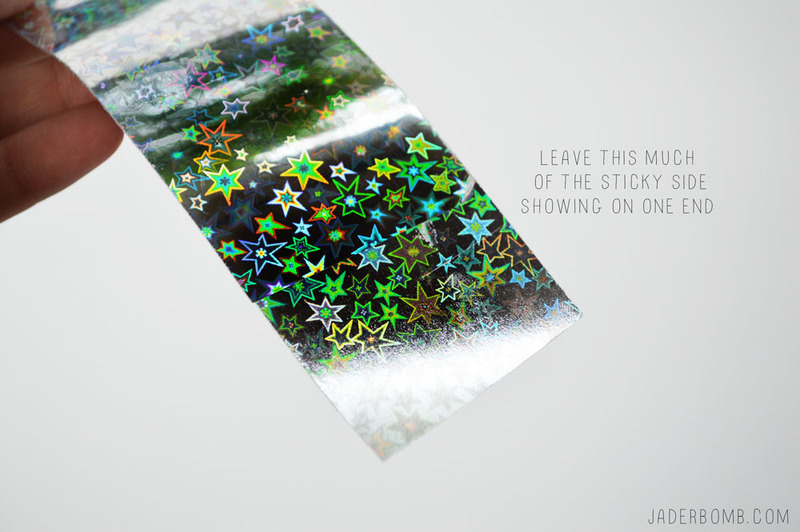 Peel the backs off of each one and place the smaller strip directly on top of the large strip. 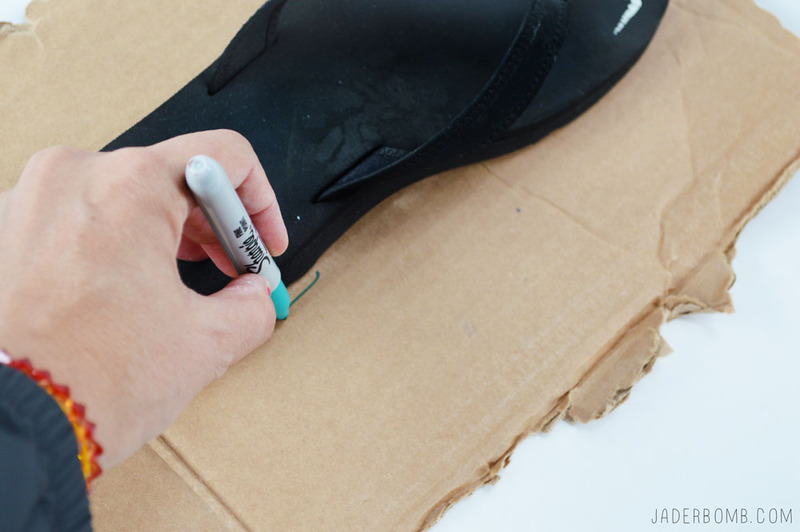 You will take that sticky piece on the end and place it under the cardboard bottom. Flap it around and stick the other side. I am totally happy with the way these babies turned out! I hope you have fun for you and the upcoming season of Orange is the New Black! Enter to win a 3 month Netflix gift card! Thank you, Netflix! This is such a great idea when someone throughs a OITNB marathon party!!! OMG Adorable! This is so clever! Hilarious! 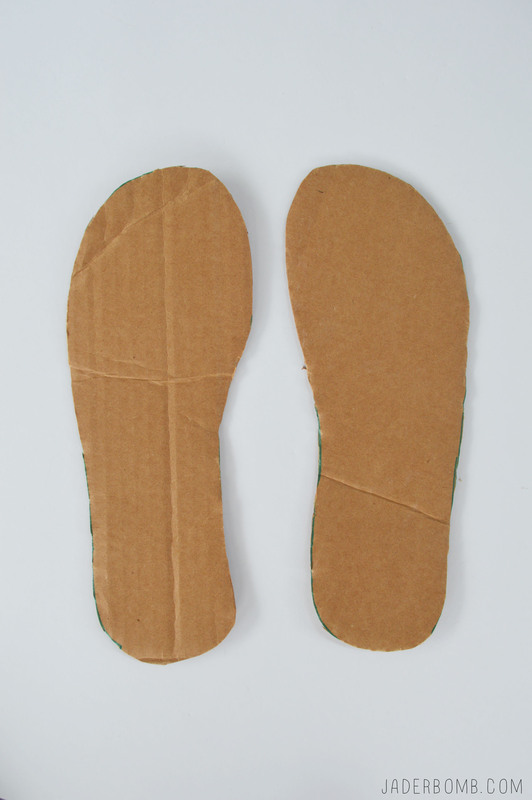 I am going to make a pair! These are too fun! 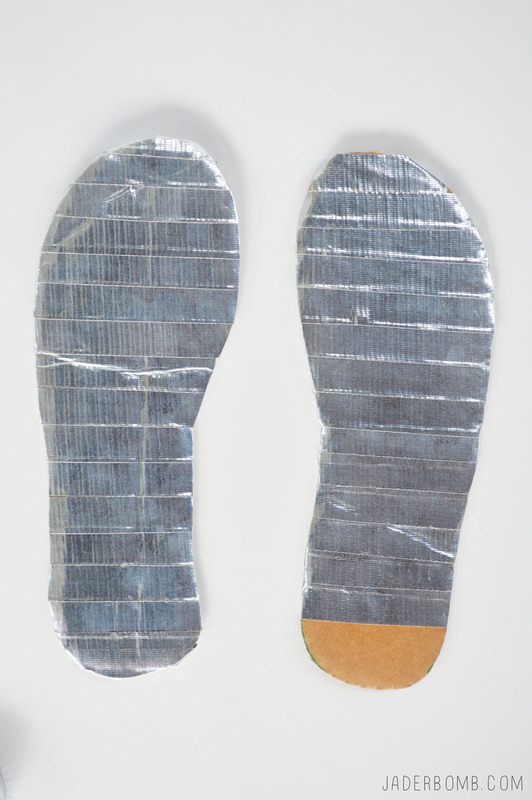 Must make a pair!!! this looks fun and easy to do. Pingback: Orange is the New Black Blog Hop: Gloria’s Spicy Eggs | CraftyChica.com | Sparkly, artful inspirations by artist and author, Kathy Cano-Murillo. 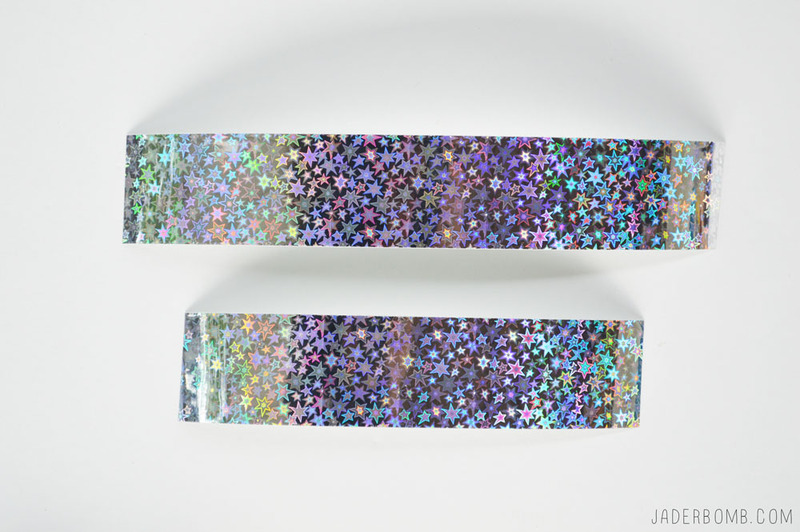 These are awesome and craft day will be filled with this pattern. Season 2 cannot arrive soon enough! lol So simply and very creative! 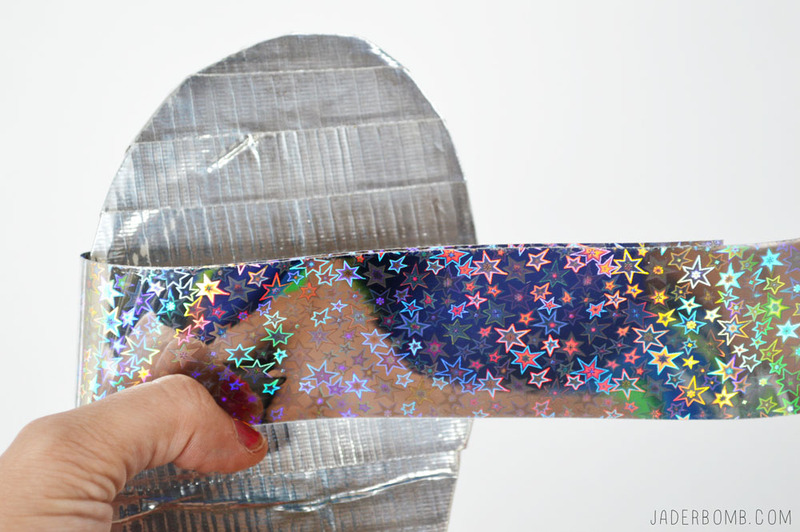 Love these slippers and your star duct tape is awesome. 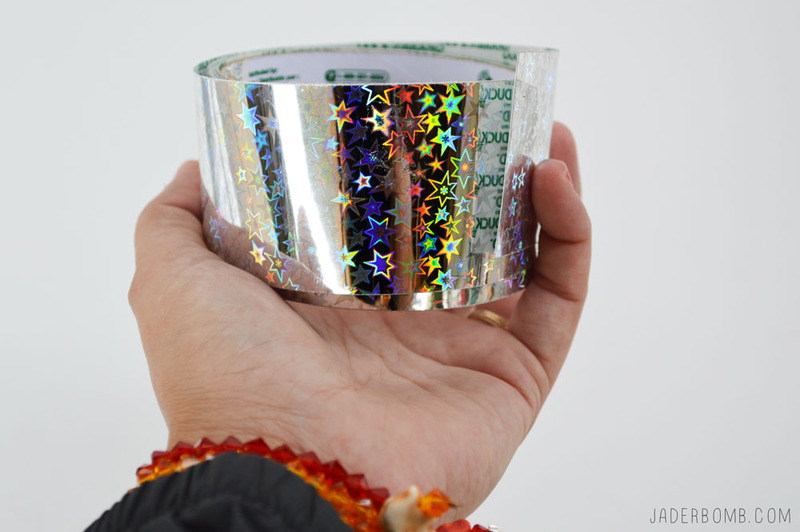 This would also probably make a good kids craft project. Looks so simple!! Thanks for the idea!! love the show, thanks for the chance to win!